I found a new “toy” yesterday. It’s a site called Wordle. 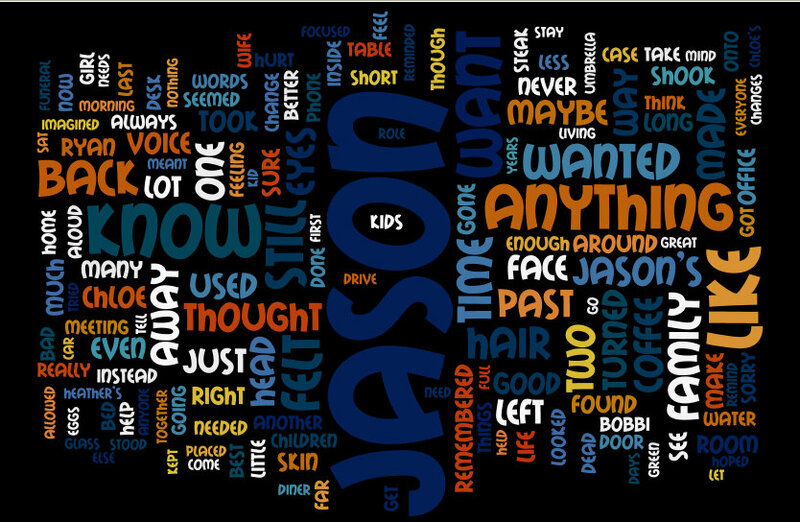 It takes your text, and graphically shows you your most used words. I’ve been playing with it this afternoon. I got rid of many more of my “Darlings,” my frequently used words. Here’s a look at Chapter One of my WIP. Yay me! I also figured out how to make a screenshot! I think I’m the last blogger on the planet who didn’t know how to do this, but I shared the link anyways! 🙂 Today is a good day! Yay, thanks for that. I had forgotten all about Wordle. ok I tried it on my blurb. so? do the colours mean different things? I must be missing something How do you know which words are used too frequently? The colors are just there to look pretty. 😉 The bigger font on the word, the more you used it. Is there a limit of how many words you can paste in the Wordle site? ha ha! i once did something like that (maybe the same thing? i dunno!) but it used your name and a google search to find “your keywords” or something like that… I dunnno, but never seen it used for this application, a good idea that i may be stealing! As soon as I get the book covers caught up I am going to hit the editing 😀 So high five for cross application! Okay, i had to do it…. Great first chapter Wordle! He! He! Katelina and Jorick should be happy that they seem to have gotten equal billing!!! 😉 Woo hoo!!!!!!!!! !